Woodrow Wilson Woolwine Strode (July 25, 1914  December 31, 1994) was an American athlete and actor. He was a decathlete and football star who was one of the first African American players in the National Football League in the postwar era. 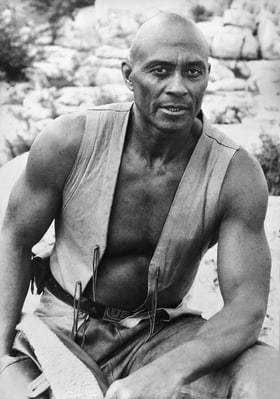 After football, he went on to become a film actor, where he was nominated for a Golden Globe Award for Best Supporting Actor for his role in Spartacus in 1960. He served in the United States Army during World War II.